"Your battery is very low, please plug it in immediately." Have you ever experienced that moment of panic when your phone flashes a low battery warning while you’re lost or running late to a meeting? You can usually figure out a quick solution, whether it’s to borrow a charger or run home. But this isn’t the case for the 600 million people in sub-Saharan Africa living without electricity. To charge her cell phone, Sara Ruto used to make a weekly trip that included a 2 mile walk and a 3 hour ride on a motorcycle taxi to Mogotio, Kenya, the closest town with electricity. She would drop off her cellphone at a store, but would have to wait 3 days before picking it up due to the high demand for charging services. 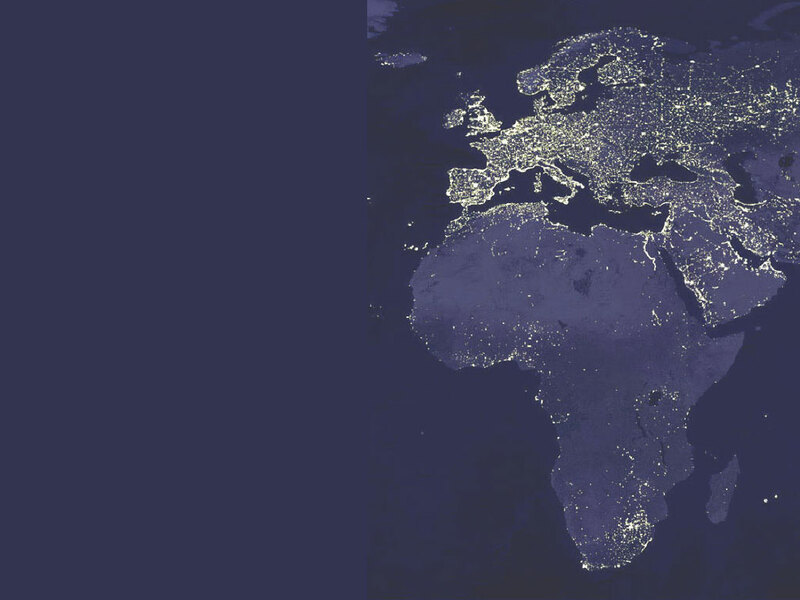 Energy poverty is a serious challenge facing sub-Saharan Africa. The whole region generates about the same amount of power as Spain, and that capacity has remained stagnant over the past 30 years. From another angle, excluding South Africa, electricity consumption per person in sub-Saharan Africa is only 0.9% of electricity consumption per person in the United States. Additionally, costs are higher than in any other developing region. Access to power is even scarcer for the rural population in sub-Saharan Africa, which makes up 70% of the total population. Only 2% to 5% of this population is connected to grid electricity. Uganda is one case in point. The country has been battered by conflict and political unrest, but it has had strong economic growth over the past two decades. Despite its growth, only 9% of the population has access to electricity. In rural areas, only 3% of the population is connected to grid electricity. And the existing power supply tends to be unreliable, particularly during drought periods because of the country’s dependence on hydroelectric power. In addition, the power sector in Uganda is highly inefficient due to under-pricing and high distribution losses. Around 3% of its GDP is lost each year due to these inefficiencies. What does this mean for rural households in Sub-Saharan Africa? For individuals like Sara Ruto, this means facing heavy barriers to what should be a simple task of charging her cell phone. For students, energy poverty just adds to their daily challenges. These challenges include long walks to school, a lack of school supplies and textbooks, teacher absenteeism and a heavy domestic workload. When it gets dark, students get sore eyes and headaches from the fumes of the kerosene lamps they rely on for light to study or do their homework. Women are particularly affected by energy poverty. Women are typically the primary managers of household energy consumption, but they make up 70% of the poor living without access to grid electricity in sub-Saharan Africa. Kerosene costs 25 to 30% of a family’s income, and a room lit by kerosene has pollution concentration that is 10 times higher than safe levels. Reliance on kerosene has other grave health implications, including a higher risk of child pneumonia, chronic obstructive pulmonary disease, lung cancer, the poisoning of children who drink kerosene stored in soft drink bottles, as well as burns and smoke inhalation from associated fires. Yet rural households often have no alternatives. At Kiva, we’re forming partnerships to provide clean energy alternatives for rural households in Sub-Saharan Africa, among other regions. In a past blog post on financing for clean energy, my colleague Ian Matthews discussed our partnership with Barefoot Power. In this blog, I’m excited to highlight Kiva Field Partner BrazAfric. In 2010, BrazAfric created a Vendor Financing Department (VF) to offer its products on credit to low-income smallholder farmers. Through this program, BrazAfric is partnering with Kiva to offer financing to its clients to buy energy-efficient cooking stoves and solar lanterns. Kiva is also working with BrazAfric to offer loans to micro-retailers to sell these products to off-grid rural and peri-urban areas. Kiva is on the lookout for partners to bring clean energy to off-grid populations across the globe. If you are interested in becoming a strategic partner in this areas, please contact our community support team at contactus@kiva.org. Rebekah Chang is an intern for Kiva’s Strategic Initiatives team, looking for new partners and loan products to extend opportunities and access to more people around the world. Rebekah has an M.A. in Development Economics and Conflict Management from Johns Hopkins University School of Advanced International Studies. Send her your feedback on this blog series at blog@kiva.org. This is part of a larger series on Kiva’s strategic initiatives and innovative loan products, which are designed to expand opportunities for more borrowers across the globe. Images courtesy of the World Health Organization and WhiteAfrican.